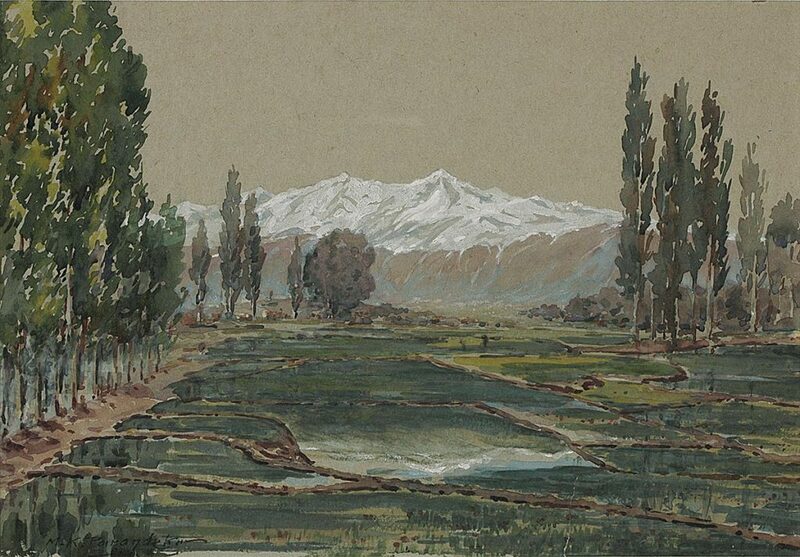 Born in Kolhapur, Maharashtra, M. K. Parandekar is known for his prolific output as a painter. His initial training was under his father, a Sanskrit scholar and painter, and he followed that up with formal study in art at the Sir J. J. School of Art, Bombay in 1900. Abalall Rahiman, the court painter of Kolhapur State was a strong influence on Parandekar’s art and he thus achieved considerable expertise in drawing portraits and figures. 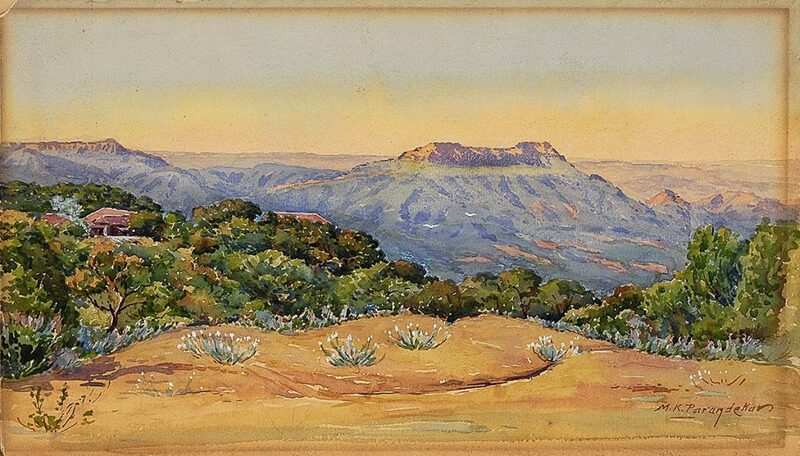 Despite that, it was landscapes he focused on painting. Parandekar’s panoramic views of Indian archaeological sites, with their picturesque ambience recall European masters in their use of perspective and three-dimensional effects. 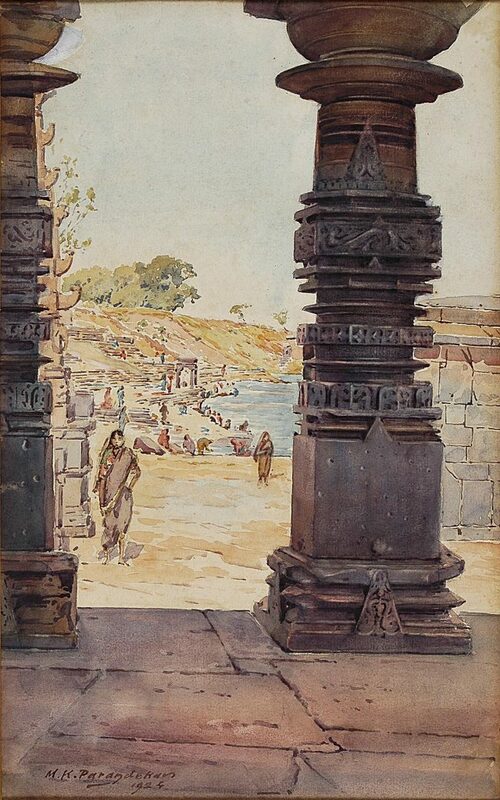 His landscapes of the ghats of Nasik and the Mahalaxmi Temple, Kolhapur, as well as the mountainscapes of Mahabaleshwar were greatly admired by critics as well as art lovers in his time. He also acquired the patronage of Lord Willingdon, the then Governor of Bombay, as well as the Maharaja of Patalia who commissioned him to paint several projects. 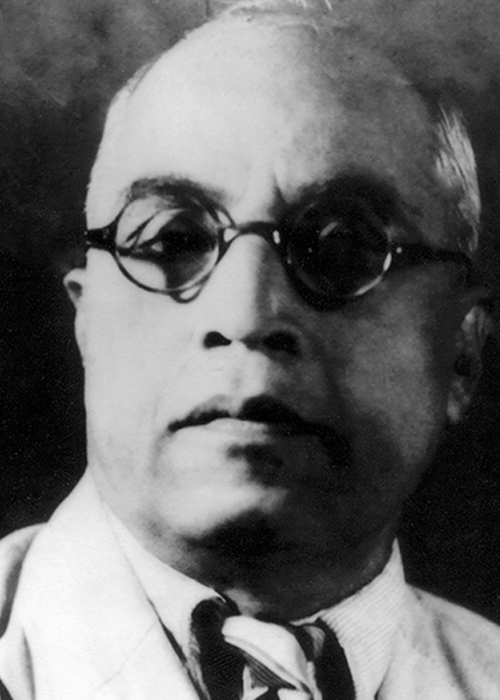 Parandekar played an important role in the foundation of the Art Society of India, and from 1920-30, served as the secretary of the Archaeological Survey of India.